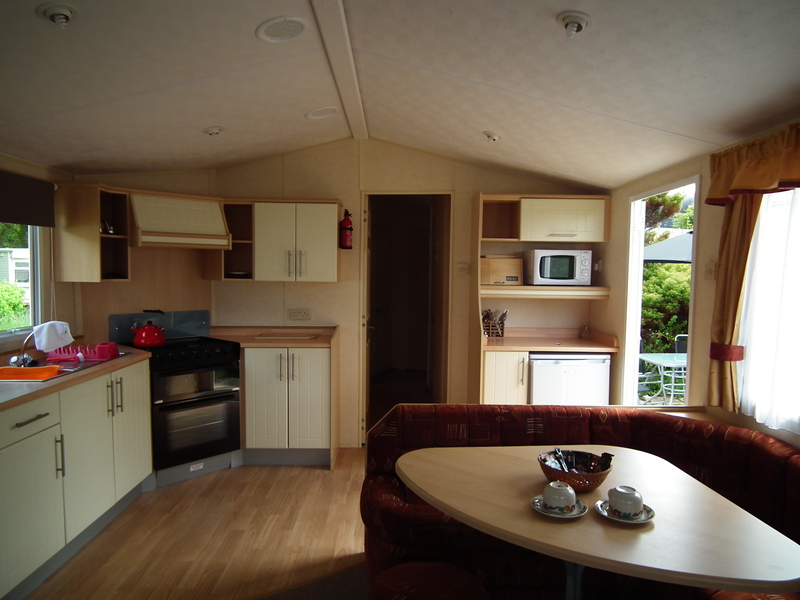 The 6 berth accommodation provides lounge/dining area, kitchen, main double bedroom and two separate twin bedded rooms. Colour tv is provided free of charge. The caravan has toilet, shower, water heater, refrigerator, microwave, colour television, electricity and gas for cooking and heating. Small dogs are permitted if kept strictly on a lead and under proper control at all times. Your car maybe parked adjacent to the caravan. Bookings are normally from Saturday to Saturday, but weekend bookings may be available during early and late season. 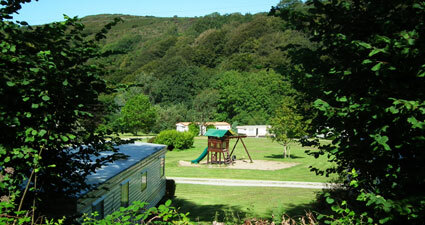 The caravan is available from 2.30pm on the day of arrival and must be vacated by 10am on the date of departure. 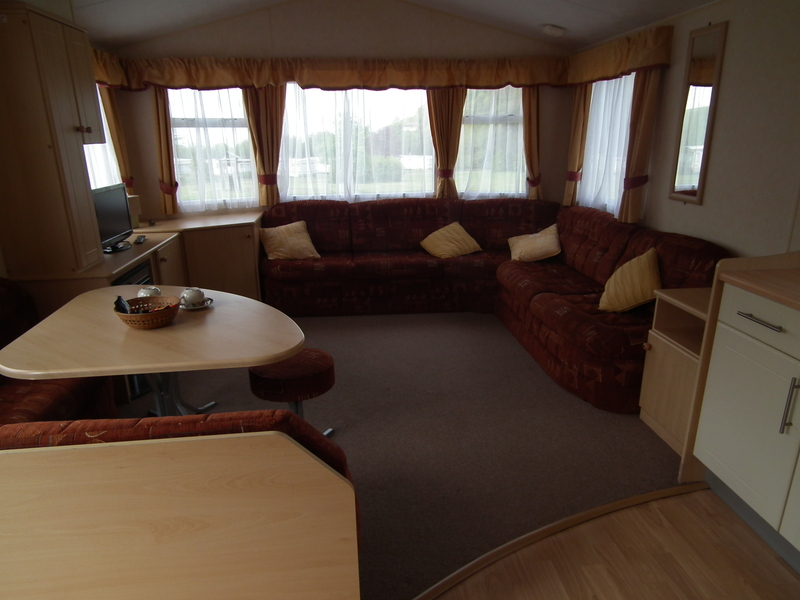 We ask your help in leaving the caravan clean and tidy. 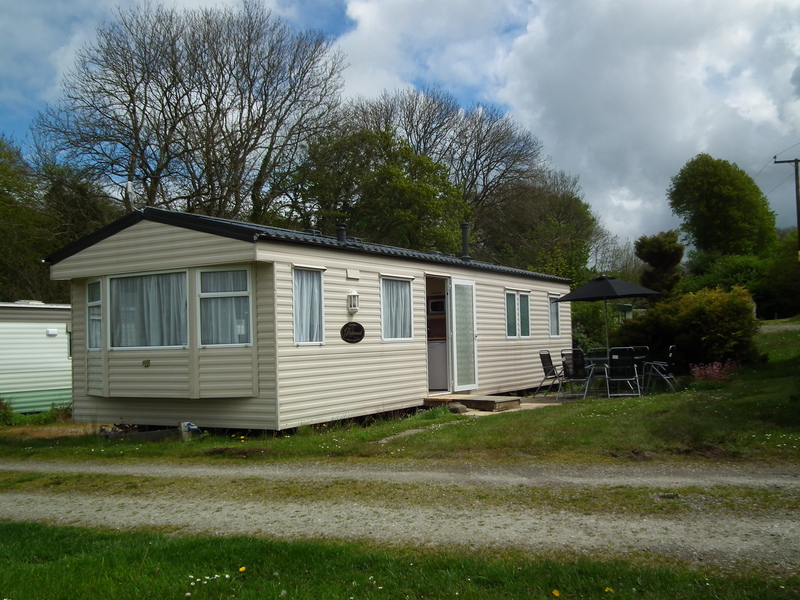 Our caravan is fully equipped to Wales Tourist Board standards, the beds are provided with duvet covers, duvets, pillows & pillow cases and bottom sheets. You will need to bring own towels and tea towels. A rubber sheet must be used for the beds of small children. A non-returnable deposit of 20% is payable on booking, the balance being payable on arrival. An extra charge of £15 per week will be made for bookings which include a dog. A non-returnable deposit of 20% is payable on booking, the balance being payable on arrival.